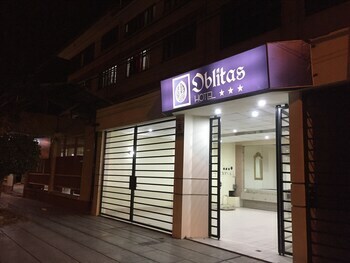 With a stay at Hotel Oblitas in Cochabamba, you'll be a 4-minute walk from Plaza de las Banderas and 8 minutes by foot from Felix Capriles Stadium. Featured amenities include a computer station, dry cleaning/laundry services, and a 24-hour front desk. A roundtrip airport shuttle is provided for a surcharge (available 24 hours), and free self parking is available onsite. Located in Santa Cruz, MAI Suites is a 4-minute drive from Ventura Mall and 9 minutes from Santa Cruz Zoo. Free self parking is available onsite. With a stay at this vacation home in La Paz, you'll be within a 15-minute drive of Japanese Garden and Parque del Monticulo. Free self parking is available onsite.